Horned puffins on rock ledge. 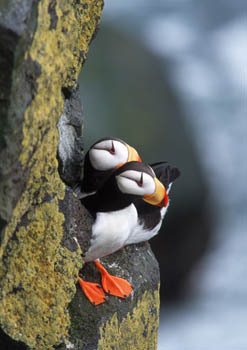 Caption: Horned puffins on rock ledge. Comments: Millions of puffins nest on St. Paul Island off the coast of Alaska each summer. Most gather on rocky cliffs just south of town.